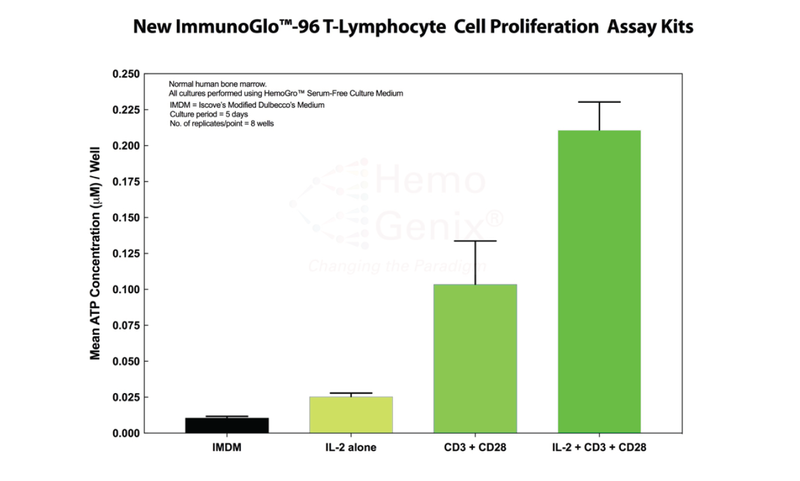 Whether it is a simple lymphocyte proliferation assay, donor lymphocyte infusion (DLI) testing or mixed cultures, these assays are flexible for any laboratory. Choose from a variety of readouts including ATP bioluminescence, fluorescence and absorbance/colorimetry, and different package sizes. 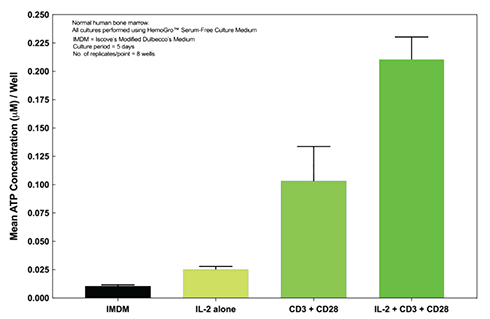 Test unprimed T-cells in the presence of antibodies, enterotoxins, mitogens etc.